From the extremes of Millennial/Gen-Z #hustle culture to the pending “Right to Disconnect” legislation in New York City, we continue to grapple with how to set better boundaries around, and within, our jobs. Clocks and walls no longer tell us where work ends, and the other parts of life begin. Back in the day, we didn’t need to be intentional about communicating how, when, and where we worked. Being in the office nine-to-five, Monday-Friday, was the general rule-of-thumb most followed. Not anymore. Now, it’s potentially 24/7, work anytime and anywhere. That’s why employees, teams, and supervisors need to master a new set of skills and tools that support the ongoing clarification of expectations related to accessibility and responsiveness. The solution isn’t one-size-fits-all. It will vary by circumstance and person. Here are three get-started tips that can help colleagues, clients, and others connect while carving out space for focused work and managing personal well-being. We have so many ways to communicate—email, instant message, text, mobile phone, Slack notifications, etc. Let’s start with email since, according to our research, it remains the primary communication tool for the majority of full-time employees. Most people consistently set an auto-reply message when they are out of the office (OOO). That autoresponder usually includes information about when the person will return and who to contact for a more rapid response. But, this typical “OOO” doesn’t adequately convey the more nuanced information required to manage accessibility expectations in a flexible work culture. “Working Remotely – I will respond to your message as soon as I can. Please call or text me at 333-333-3333 if you require more immediate assistance.” The need for this type of auto-response depends upon your work environment. In practice, working remotely should make no difference in how or when you respond making this auto-reply unnecessary. However, if people still don’t quite get that remote working means you are working, it limits some of the possible doubt that can slip in when you aren’t in the office and don’t respond immediately. “Traveling – I am traveling and will not be reachable until ‘X’. I will respond as soon as I can. Please contact _____ for more immediate assistance.” Yes, you are out of the office, but you are working so expect a reply when you are accessible again. 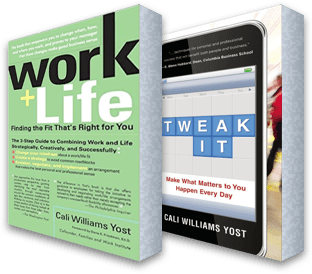 “PTO – I will be out of the office on PTO (you don’t need to say sick or on vacation) and will respond when I get back to the office. Please contact______ for more immediate assistance.” You are not in the office, and you are not available. That doesn’t mean you aren’t checking messages, but you’ve set a clear expectation you are not going to reply. This is an important boundary if you are truly going to disconnect when you are on vacation or are sick, which, according to a recent New York Times article is a challenge. Here’s an example of a creative “OOO” response from a New York Magazine feature on Krista Tippett, the host of the popular NPR radio show/podcast On Being, “When you email Tippett, you get an auto-reply that says, ‘I’m in year two of my vow to forsake hurry as a way to move through my days.’ She tends to reply the same day, regardless.” As the leader, Tippett can use whatever auto-reply message she wants (I’m curious what other members of her staff do); however, it gets the point across that, while she is still reviewing messages, the response may not be immediate. During an accessibility and responsiveness exercise we facilitated with a team, an employee asked, “If I choose to bring a company laptop home to catch up on work, am I expected to respond to a customer email that I receive after hours?” The answer from the group was “Yes, sometimes you do.” In this group’s particular business and for this exempt worker, sometimes there are projects and issues that require work outside of the traditional business day. In those cases, yes, you would have to respond after hours. But when those projects are completed and it’s back to business as usual, then no. The choice comes down to professional judgment; however, sometimes it’s difficult for employees to know when they can or must modify their level of accessibility and responsiveness. Leaders should check in and make sure their boundaries match the task at hand. Try this thought experiment. Imagine the people you work with are in the office together, at the same time, every day. Are you able to immediately find and get a response from everyone when you reach out? No, you’re not. People are in meetings. They go to the bathroom. They go to lunch. They run an errand. It’s the same when people work flexibly. But for some reason, there’s a tendency to make anything less than an immediate response, all the time, a sign of trouble or even abuse. Not only is that unrealistic, but it undermines the trust and shared accountability that is the foundation of flexible work team success. For peace of mind that you can reach someone right away if necessary, we encourage teams to create a snapshot of everyone’s mobile phone numbers. One client took it a step further and encouraged everyone to screenshot the grid and keep it on their phones for easy access in one place. These are a few basic steps that a team can follow to set better boundaries. By clarifying expectations related to accessibility and responsiveness, you minimize misunderstandings, doubts, stress, and burnout. Jobs in today’s flexible work culture will get done effectively no matter how, when or where people are doing them. What are some of the ways you and your colleagues set boundaries around, and within, your work? How do you clarify when you can be reached and how rapidly you will respond?